Not all criminal defense lawyers are prepared to pursue a criminal appeal. It requires a high level of experience and a specific skill: the ability to read the record of a prosecution and identify actionable mistakes by an attorney or judge. 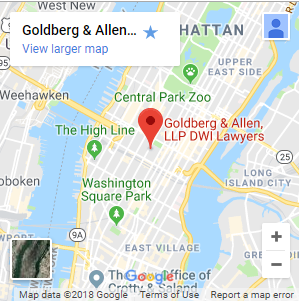 At Goldberg & Allen, LLP, we have handled criminal defense efforts and trials at all levels. We enforced action within the law and ethical attorney conduct daily throughout our terms as high-level prosecutors in Kings County during the 1980s and 1990s. 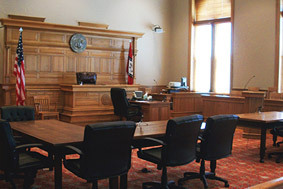 If you believe you may have the basis for a valid state or federal criminal appeal, we are here to evaluate your case. To learn how we can assist you, please call 212-766-3366. Our firm offers a free initial consultation. The most common regret of our appeals clients is not hiring a better-qualified criminal defense lawyer for their original case — because mistakes by defense counsel are the most common basis for a valid criminal appeal. Many have received misguided counsel or had their lawyers miss deadlines they never told the client about, or experienced a host of other problems. At Goldberg & Allen, LLP, we are dedicated to correcting these mistakes. One of the first questions to address is whether you may have waived your right to appeal, as is the case with most guilty pleas leading to conviction in state courts. We can readily answer this and discuss what happened in order to offer you informed guidance. Our attorneys will not offer false hope — but if you have cause for an appeal, we will be intent on proving your case. Even after you have exhausted the appeals process, it does not mean that all hope is lost. You can still file for post-conviction relief. For example, we may be able to show that there is new evidence in your case or that your original attorney did not provide effective assistance. In these circumstances, you could be eligible for a new trial. Whether you are filing for an appeal or for post-conviction relief, there are strict time limits — and that is why it is critical to contact an experienced attorney as soon as possible. Have You Suffered An Injustice? Get In Touch With Us Today. Our New York City criminal appeals attorneys cannot be intimidated by complexity or formidable opponents. We are formidable ourselves, and we want to make a difference for you if you have a valid claim. Contact us at 212-766-3366 to benefit from our high-stakes criminal defense experience. We handle cases across the spectrum of criminal law, including drug crimes, DWI and driving crimes, violent crimes and property crimes.